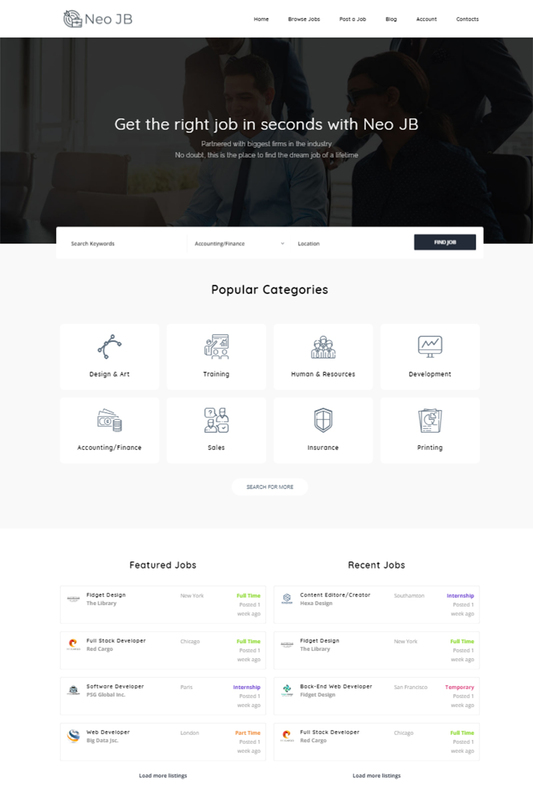 Neo Job Board is crafted with thorough understanding of the business to connect employers and candidates. The theme is easy to use and customize even you're beginners with Wordpress - it's also friendly with users and seekers. It will be suitable for you to show professional job board websites that requires high advanced features & powerful functions to provide useful services for users.